As of today, here are some of the concealers I've tried and loved and some of them even went straight to my makeup train case. I will divide this into 2 parts - The Save and The Splurge. Feel free to click the product names for links of past reviews and swatches. SkinFood Dark Circle Salmon Concealer Php950.00 (approx $20.65)- as the name says it all, this product is meant to cover the darkness under the eye area. Most of you probably heard or read about the ability of salmon shade to counteract darkness. The pot lasts forever and a tiny amount is enough to prevent product creasing. NYX Concealer in a Jar Php300.00 (approx $7.00) - I have raved so much about this product even my friends ended up buying their own pot! This is a full coverage concealer that works on the under eye area (if you pick Medium shade which has a bit of peachy shade). If you pick other shades, you can either use it as a highlighter or to conceal spots from zits or acne. Revlon PhotoReady Concealer Php725.00 (approx $17.25) - Seldom will you see me use stick concealers as they tend to dry out my skin. Not until I met Revlon's PhotoReady Concealer, this is my "retouch" concealer as I can easily take this along with me and directly apply the product under the eye area, the redness on the sides of my nose and on those "zit" attack days, it's great to spot conceal without pulling out a brush! All I need is my clean fingers! This concealer applies on creamy and never creases on me. The Body Shop Lightening Touch Php950.00 (approx. $22.00) - This product has been compared to YSL Touche Eclat for the longest time! To set things straight, I do not own YSL's Touche Eclat so I can't compare the 2 for now. But for it's price, this product works on "highlighting" your features and I like using this on top of a concealer as it gives an extra coverage PLUS glow leaving the area looking radiant and natural. Graftobian High Definition Corrector Palette around Php1,200 (approx $28.00) - I purchased this online and I just recently opened it and used it on clients, so far, I'm happy with the pigmentation and its creamy texture. I've always been a fan of the Graftobian Cream Foundation so I'm not surprised this will also be a hit! If you suffer extreme darkness under the eye area, redness or dark spots on your cheeks or forehead, correcting your spots prior to concealing is the best way to achieve maximum coverage. Give me some time I'll definitely write a proper review for this palette! Benefit Erase Paste - I own a smaller sized version of this from my Confessions of a Concealaholic Palette. This product is very tricky to use as a tiny amount is very potent and can crease if not applied correctly. The trick on using Erase Paste is to always warm the product with your fingers then gently tap on your problem areas. This product can cover under eye circles, red spots and even freckles! Bobbi Brown Creamy Concealer Kit Php1,900 (approx $45.20).- Best used on the under eye area. The extra powder that comes in the palette is a nice "plus" as it instantly set the concealer in place making it stay until you remove it. Estee Lauder Disappear Smoothing Creme Concealer - Another concealer that works so well on the under eye area, acne marks, freckles, etc.. All you need to do is pick the right shade for you! Amazing Cosmetics AmazingConcealer Php1,800.00 (approx $24.20) - As recently reviewed, this product does not only give the coverage you need but it gives an overall highlight effect. Make Up For Ever Camouflage Cream Palette Php1,600 (approx $34.00) - A must if you are a makeup artist! The palette on photo above is already my 2nd. When we talk about Concealers, it is very easy to say: "Let's SPLURGE on it!" I agree, I don't mind paying more for makeup products that sits into my skin for a long period of time. But mind you, Expensive doesn't always equate to the BEST. At the end of the day, the best way to pick the best concealer is to understand the needs of your skin. Are under eye circles your major issue? Is it the eye puffiness that's giving you all the trouble? Or the red spots from acne scars and pimple marks? To some, is it the freckles that's making you go insane? Focusing on your major skin concern is the best way to target the right product for you! I used to purchase concealers just because I see other Bloggers rave about them but guess what? Most of them ended up inside my makeup case or I've given away most of them! Now that I'm not in denail, I've finally accepted the fact that my major skin concern would be the darkness under the eyes. So I'm focused on purchasing and trying concealers that are meant for the under eye circles! Then it's time to shop! Big question is: "Where will I start? There's so many brands out there I'm so confused!" Relax and take a deep breathe, check your budget. Tell me, have you found the best concealer for your problem area? What's your concealer budget at present? this helped me a lot thanks. i always have problems with undereye concealers because they crease a lot on me . i don't really need a lot of coverage so by far my fave one is the garnier roll on concealer, i really like it . Thanks for the correction, I changed na! probably excited from typing na missed out ang 2 :) Thanks dear! I personally don't own many concealers...but I have the Graftobian one too! For my under eyes, I usually just use my Garnier BB eye roll on. Works like a charm...I love it! I agree the Garnier BB Eye Roll on is really nice, na forget kong isama! I may add it next time when I do part 2 or if there's any additional good finds! this is a winner article! i'm a concealer addict too and i haven't found the best one for me yet. my concerns are the hyperpigmentations on my cheeks. i'm currently eyeing shu uemura pro gel cealer. have you tried this already? I love Bobbi Brown concealer- It's expensive but does such a great job at hiding my very dark circles! Glad to know this article is helpful! thanks for reading Miltkea! Great article! 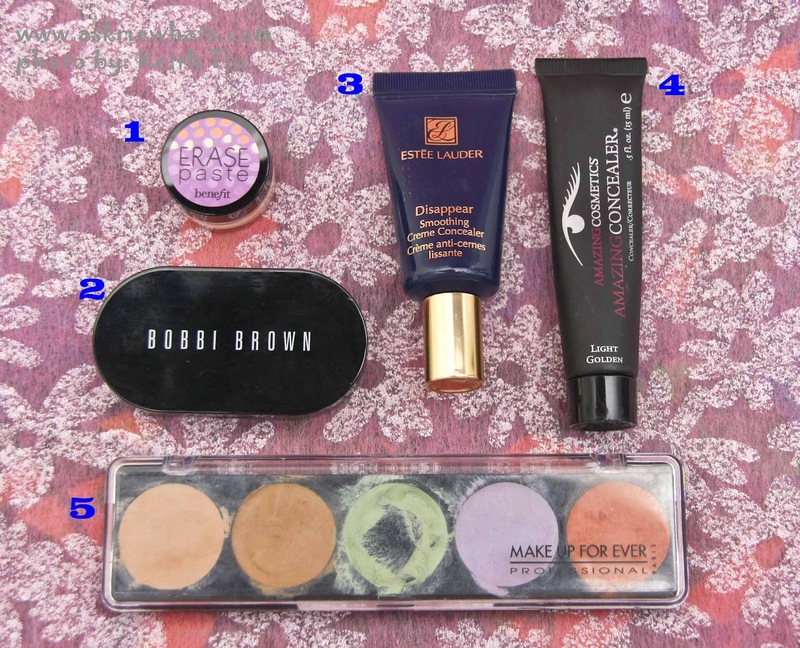 Also checking out a very good concealer but planning on buying the Bobbi Brown and Graftobian corrector palette. Do you mind sharing where you got the Graftobian palette? Thanks! If you have dark undereye circles, try to cover it first with salmon concealer (orange based concealer) then with a lighter concealer shade repeat concealing (using steps above) then gently set with foundation powder :) goodluck! Hi! I'd like to ask what's the best concealer for me? My major concern is the puffy and dark undereye circles that I have. I've tried garnier bb eye roll on, but it works just for a very short amount of time. I wanted something that has a longer lasting effect. Any suggestions? I have a combination skin, my budget is up to 1,000 pesos. Thank you! As for best concealer for you, it is difficult to suggest an exact brand and color as I don't see you in person. 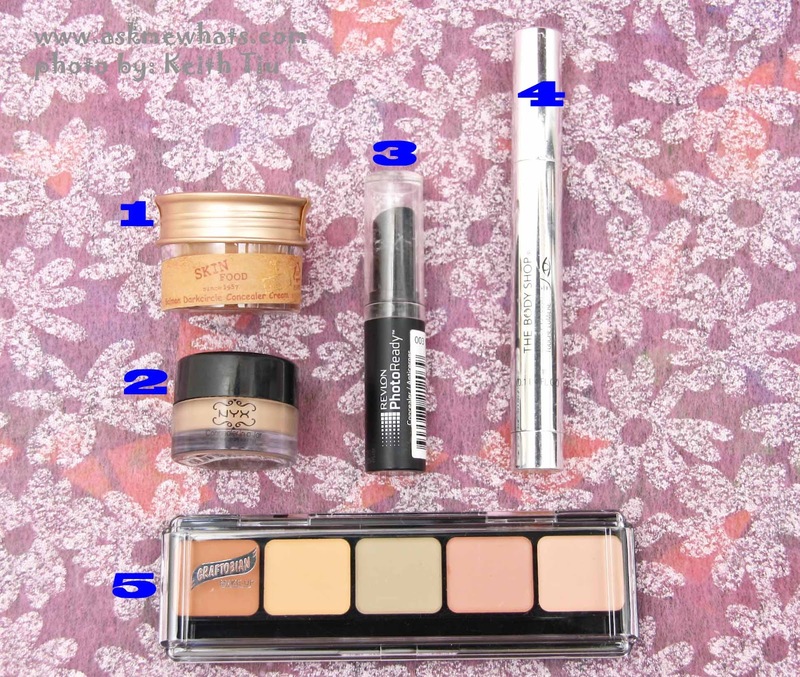 But if you're looking for good coverage concealer at the price range you mentioned, you can try Cinema Secrets, Revlon, and for a bit pricier brands like MAC, Bobbi Brown and Laura Mercier.